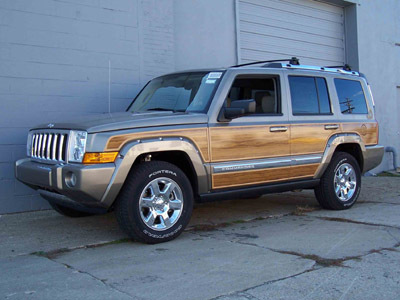 Our new Jeep™Commander“Woody” Kit recalls those great “wood” Wagoneers of the past that started the whole SUV movement. 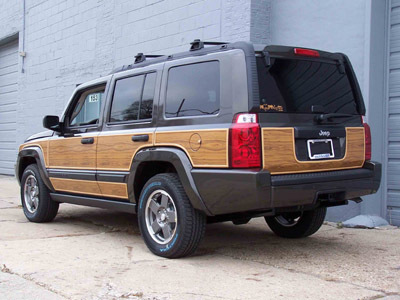 The timeless design and long history of woodies are as the rugged work-horse was forever changed to include luxury appointments and comfort when Jeep introduced the Grand Wagoneer. The Woody Wagoon Jeep Commander “Woody” Kit is designed for the home installer, or can be installed by your local body shop. All components are pre-formed, labeled, and detailed photo-illustrated instructions are provided. Also, tech help from our professional installers is only a phone call away.